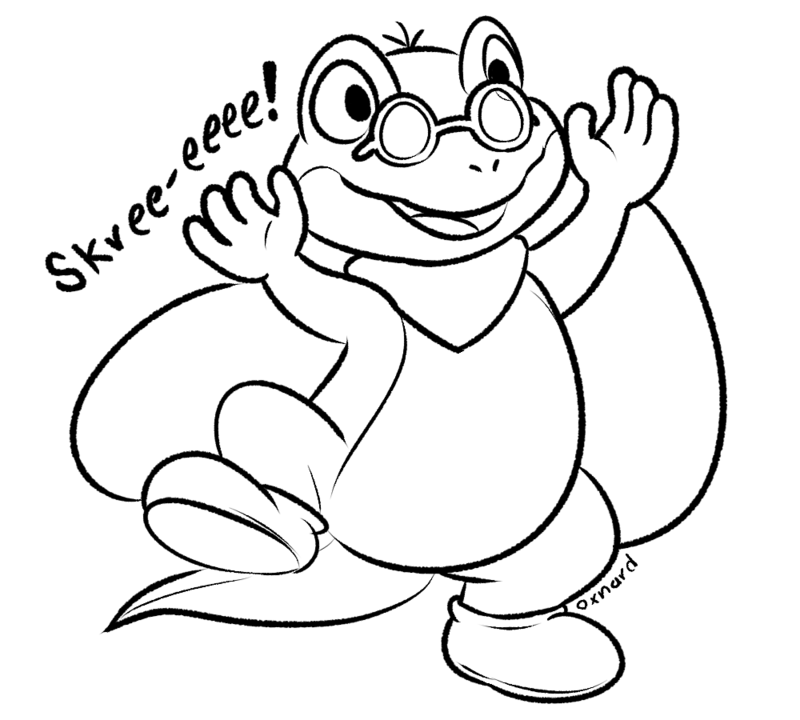 Glydon is a character similar to flying lizards who is enthusiastic about flying and gliding. Mario meets Glydon in several Kingdoms throughout the game Super Mario Odyssey. He states that he's travelling to various Kingdoms to glide from the highest places, while the world atlas as well as his bandana having similar motifs as the ones found on the ponchos of Tostarenans indicate that his homeland is in the Sand Kingdom, which is indeed the first Kingdom where he can be found in the game. Today I found not one, but FOUR (!!) new Glydon fan arts. Today will be a good day. Did you know? There are 66 Glydon fan arts in my Glydon folder. Did you know that I commissioned a Mario X Glydon picture? No? Mr. ZAP Sweet in multiple ways. This spot looks pretty good for a blood-pumping power-dive! Skree-EEEE!